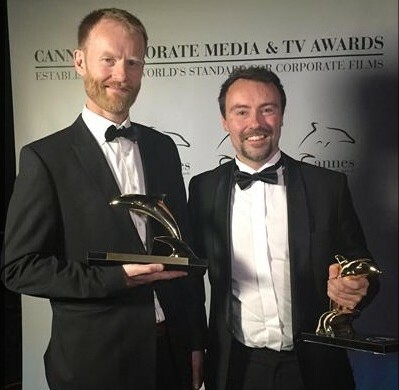 The DRK series ‘Store danske videnskabsfolk’ (great Danish scientists) won two Dauphin D’Or prizes at the Cannes Corporate Media and TV Awards last week for its episode about the renowned physicist Niels Bohr. The episode won in the categories ‘Best Science Programme’ and ‘Best Docudrama’. The series – which was hosted by Johan Olsen, the biologist and lead singer of the band Magtens Korridorer – was first aired last winter and also featured episodes about Niels Steensen, HC Ørsted, Inge Lehmann, August Krogh and Tycho Brahe. The programs used an unusual storytelling format, moving through time and space. It included the host interviewing actors representing the historical figures. Martin Sundstrøm, the creator of the series, was pleased the innovation was well received. “We are very happy about the prizes and that they have been given to a series in which we have tried to do things in a completely new way,” he said.